Saks Fifth Avenue today opens one of the largest luxury handbag destinations in New York City, furthering the grand renovation of its Fifth Avenue flagship. The expansive 53,000-square-foot main floor of the New York Flagship triples the handbag department selling space which includes more than 50 brands —14 of which are new to the store. As part of the unprecedented experience, the store boasts an OMA/Rem Koolhaas-designed escalator, connecting the main floor to the Beauty floor on two, which was renovated last year, and to the Vault, a high-end jewelry experience, on the Lower Level to be unveiled later this year. Saks Service Advisors dedicated to guiding clients through the store, handbag Style Advisors with multi-brand product knowledge, and year-round merchandise personalization create an innovative and unparalleled customer experience. "The opening of our reimagined main floor is another milestone in our Grand Renovation that offers our customers a modern and expansive experience the moment they walk through the doors. This combined with the opening of L'Avenue at Saks, our new in-store dining experience, epitomizes The New Luxury, centered on individuality, personalization and ease," said Marc Metrick, President, Saks Fifth Avenue. "The new handbag floor reinforces Saks' position as a fashion authority with an exceptional offering. 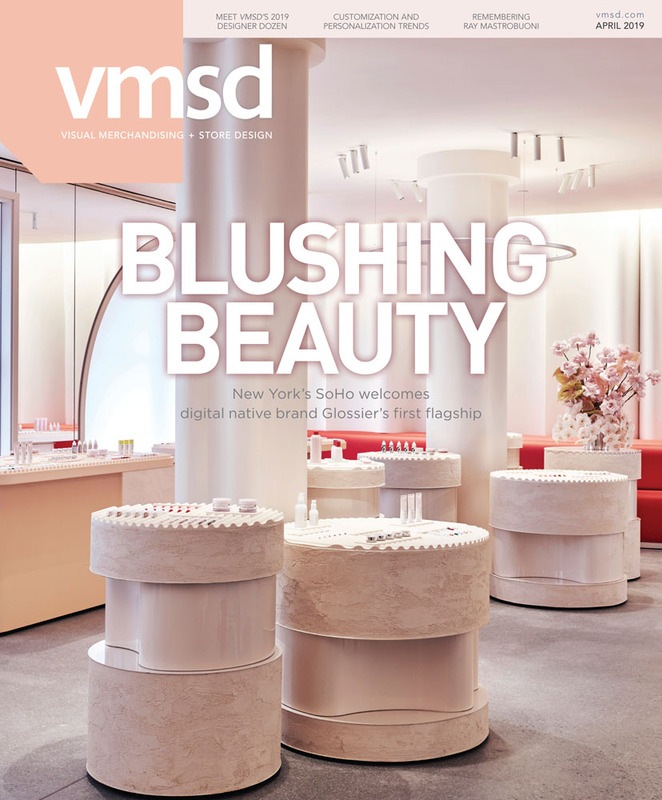 Seamless access between our dominant handbag presentation, revolutionary beauty experience on the second floor, and the upcoming Vault on the lower level reinforces our New York City flagship as a one-of-a-kind luxury destination with unparalleled service and merchandise." "We have created a luxury handbag shopping experience unlike any other in New York City -- the new main floor at Saks Fifth Avenue offers an unprecedented assortment and world-class service. To celebrate the opening we worked closely with our partners to create over 100 exclusive products specifically for our customers," said Tracy Margolies, Chief Merchant, Saks Fifth Avenue. "The size and scale of the new main floor enables us to showcase the best handbag and accessory designers in the world, demonstrating Saks Fifth Avenue's strong fashion point of view. We are confident that the overall presentation, including high-design shop-in-shops combined with personalization and customization services will truly surprise and delight our customers." The new main floor is the latest milestone in the New York Flagship's Grand Renovation. Saks Fifth Avenue's new business model has reimagined the department store concept with the revolutionary migration of beauty to the second floor in May 2018, allowing for the handbag and leather goods assortment to triple in size on the main floor. The Saks Store Planning and Design team, in collaboration with Gensler, spearheaded the renovation of the iconic space, updating it for the modern customer. As we reimagine the customer's interaction with our Flagship Store, the new main floor features multilingual Saks Service Advisors (non-selling, 20 in total), dedicated to navigate clients through the building, Handbag Style Advisors (50 in total) with multi-brand product knowledge, and dedicated brand-specific representatives in each vendor shop. The New York Flagship will host a series of in-store and online personalization events while also offering year-round customization from select brands, featuring monogramming, embossing, hand stamping, artwork, graffiti and more, all of which free of charge with purchase. Upcoming special experiences include Logan Real monogramming and hand-painting merchandise on February 8 and 9; Jaydee Studios hand-painting infused with pop culture references and focused on women's empowerment from February 8 to 9 and 15 to 17; and ROYCE providing hand-stamping using classic embossing on February 10 - 24, among additional experiences. Saks is set to debut two additional phases of the Grand Renovation later in 2019: The Vault and Men's. All aspects of Saks' New York flagship Grand Renovation are integral pieces of its new business model, creating the ultimate shopping destination in New York City with unparalleled service and merchandise. As a leading shopping destination for the all-channel luxury experience, Saks Fifth Avenue is renowned for its coveted edit of American and international designer collections as well as its storied history of creating breakthrough, experiential environments. Its exemplary client service has made Saks a global authority in the category, a focus since the brand's inception in 1924. As part of the HBC brand portfolio, Saks operates in 43 cities across the globe, its online experience―saks.com, and its mobile experience―Saks App.